The average smartwatch relies on a smartphone to show relevant information. Those notifications, emails, messages, directions and the like are not pulled from thin air, after all. Making such devices pretty much useless when, for instance, the smartphone runs out of juice or is not within pairing distance. This is where having a cellular radio inside can make a huge difference. LG is among the few vendors that sees just how useful cellular radios can be for smartwatches, as today it announces a 4G LTE version of its recently-unveiled Watch Urbane Android Wear smartwatch. 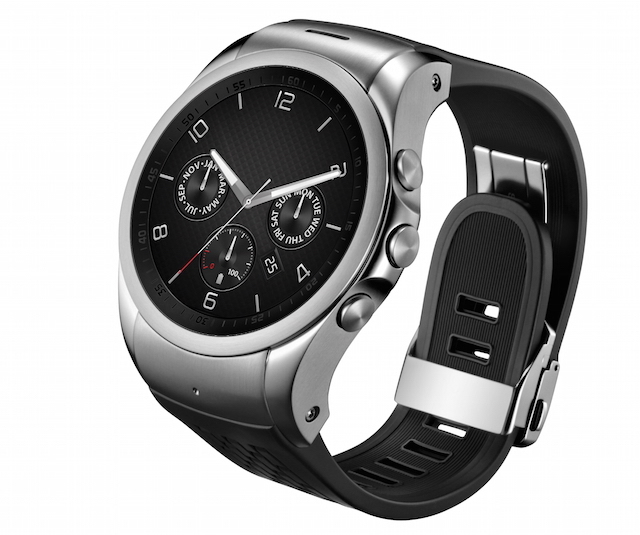 Unlike the original, the new Watch Urbane LTE -- which rivals Samsung's Gear S -- runs LG's own Wearable Platform. The South Korean company is touting it as "the world’s first LTE-enabled smartwatch". 4G LTE might seem overkill for a device that is not designed for content consumption, and this shows in the increased battery size -- 700 mAh, compared to just 410 mAh for the vanilla Watch Urbane. LG didn't mention battery life when it announced Watch Urbane nor in the case of Watch Urbane LTE, so I can only assume it's decent but not spectacular. For instance, a typical Android Wear device lasts around a day or so before it needs to meet the charger. Wearable Platform doesn't look like it's more energy efficient, or else LG would have said so in the press release. Its claim, that Watch Urbane LTE lasts for days in standby is not relevant, given that users will be interacting with their devices quite frequently. However, talk time is said to be "impressively long", whatever that means. So what can Watch Urbane LTE do that Watch Urbane can't? Well, first of all, it lets the user make and take calls, and send and receive SMS messages, without relying on a smartphone to take the heavy load. On supporting carrier networks, it offers push-to-talk, so Watch Urbane LTE users can use their smartwatches like walkie-talkies. Of course, it can also go online. What's also interesting about Watch Urbane LTE is that its third side button doubles as a beacon, with a long press, calling a contact of choice and sharing the user's coordinates. It can come in handy in case of emergencies, assuming there's cellular coverage there. Watch Urbane LTE's connectivity options may not be "light years beyond the competition", as LG suggests, but they exceed those of competing smartwatches, mainly because there is NFC on board. LG is quick to point out the upside in having NFC when it comes to making mobile payments. Needless to say, there are lots of sensors inside Watch Urbane LTE, as well as pretty good specs for a smartwatch. For more information on this, check out our coverage of Watch Urbane (the only other difference is the 1 GB of RAM, instead of the 512 MB of RAM in the vanilla model). Watch Urbane LTE is only going to be offered in silver, according to LG (no gold option, sorry folks). There is no information on availability and pricing.